It's been a busy week for Black Ops 4 with the release of League Play on PlayStation 4 and a major overhaul to the Black Market. With Treyarch's latest update, some key changes have been made to both modes to smooth out the player experience. While many were excited to see changes to the Black Market, players felt that tiers were gained far too slow, making the acquisition of new items far harder than expected. Not only that, but the launch of League Play was met with some incredibly tepid responses, due to some frequent issues that players were running into. The latest Black Ops 4 update seeks to remedy those problems with some important changes on both fronts. When it comes to the Black Market, Treyarch have acknowledged that progression was "too slow" and have implemented a change to speed things up. Additionally, they have made it so that players can earn Reserve Cases past Tier 100. - Reserve Cases will again be earnable at every Tier after 100 in the Contraband stream, and Daily Tier Skips will again apply to Tiers after the 100-Tier mark through play in all modes. - The earn rate for Reserve Cases through playing the game will be doubled. - Cases will be retroactively awarded to those who progressed past Tier 100 before this update for every additional Tier completed. League Play also got a bit of love in the latest Black Ops 4 update. When it comes to League Play, the February 22 patch introduces an important change to League Play that will allow parties to stay together while queuing up. Hot Pursuit Rolls Out on PS4! Hot Pursuit is now live in Blackout on PS4, featuring the debut of three new vehicles: the SUV, PBR, and Muscle Car, each with their own special abilities. Choose the bandit life and track more loot in the Muscle Car or lay down the law in our new police vehicles with sirens and built-in radar. In Hot Pursuit, Supply Stashes and Supply Drops occur more frequently than normal, and teammates will respawn with each Collapse as long as one teammate survives all the way to the final Collapse. The last team standing wins! Hot Pursuit is now the Featured Playlist in Blackout starting today on PS4, and Close Quarters Frenzy Quads returns as the Featured Playlist on Xbox One and PC. Jump into a match and let us know what you think in the comments below. We’ve fixed yesterday’s known issue with parties disbanding after League Play matches in this update – and in case you missed it yesterday, check out our new World League Rank System blog for all the details on how the new-and-improved Black Ops 4 competitive ranking system works in the World League Hub. Our first League Play Event started yesterday, so there’s plenty of time to jump in and start earning rank this weekend. This week’s update brought several changes to the Black Market, including an Inventory system, simplification of Blackjack’s Shop UI, and the new ability to earn Blackjack’s Reserve Cases by playing the game on top of earning new items with each Tier in the Contraband stream. The intention with this system was to give more players more frequent access to content in Reserves, as players could now earn them from the start by playing the game, rather than only gaining access after completing Tier 100. However, by moving progress toward Reserves up front instead of at the end of the stream, this had an unintended effect on players who progressed through the first 100 Tiers. Initial earn rates for Blackjack’s Reserve Cases through gameplay were also too slow. These issues and more are being resolved today. As of the next update currently targeted for later today, Reserve Cases will be added back to the Tiers at the end of the Contraband stream, and players will continue to earn progress toward Cases for gameplay time while progressing through the stream. Daily Tier Skips after 100 Tiers will also work as before, granting a Case for each Tier for players of all modes to ensure the original goal of allowing players to earn Reserves earlier and with more frequency than in previous Operations. Additionally, the earn rate for Reserve Cases through gameplay will be doubled to ensure players earn Cases faster at all times. Lastly, if you’ve already progressed beyond Tier 100 during this Operation, you will automatically be awarded with the same number of Reserve Cases that you would have earned for every Tier completed since that point in this Operation. This means no lost Tier-based progress toward Reserves, as your Cases earned after Tier 100 should be waiting for you once you’ve applied this evening’s update. Reserve Cases will again be earnable at every Tier after 100 in the Contraband stream, and Daily Tier Skips will again apply to Tiers after the 100-Tier mark through play in all modes. And of course, players will continue to earn Cases at all times on top of their regular Contraband Tier unlocks, as it has been since Tuesday’s update. These changes will go live later today on PS4 and will immediately go into effect when Operation Grand Heist begins on Xbox One and PC next week. 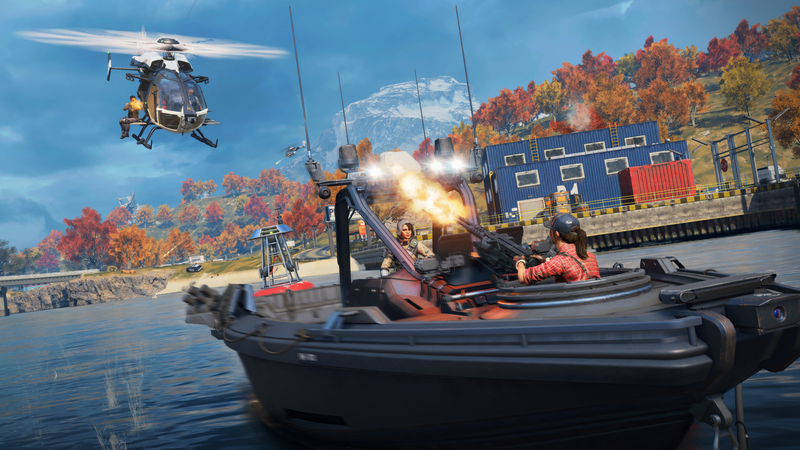 Hot Pursuit mode added as Featured Playlist in Blackout on PS4. Close Quarters Frenzy Quads added as Featured Playlist in Blackout on Xbox One and PC. Parties no longer disband after League Play matches in the World League Hub. Additional support for new “MKII” weapons added to Zombies on PS4. Black Market progression improvements planned for an update later today. Close Quarters Frenzy Quads added as the Featured Playlist on Xbox One and PC. Take on enemies using only SMGs, pistols, shotguns, melee attacks, and launchers while fighting to survive an even faster Collapse.